Modern sports turf trenching machines have very high daily outputs and backfilling these trenches has always been a slow operation, which can caused unecessary disruption. 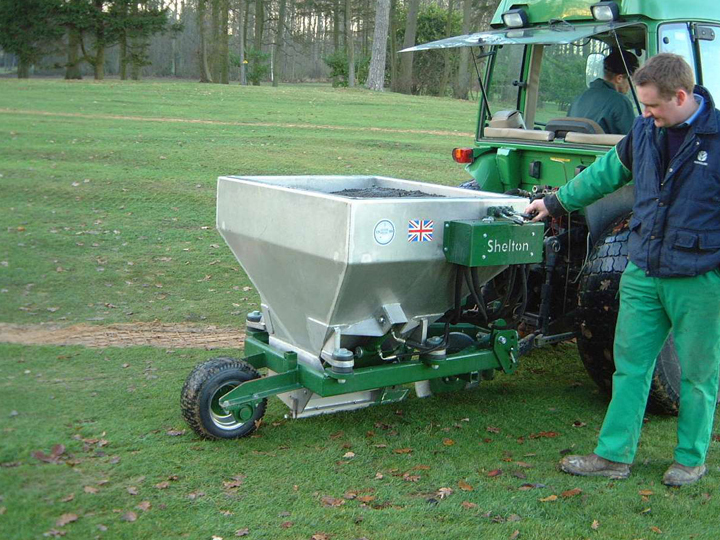 We have designed a range of gravel and sand hoppers for use alongside our sportsturf drainage equipment for quick and easy backfilling of trenches so your sportsturf facility can be back in use as soon as possible. As with all our sportsturf equipment, our gravel hoppers are available to hire or buy. For more information about how our gravel hoppers could assist you in improving your drainage scheme, please get in touch.